CarGurus has 9,278 nationwide Flex listings starting at $3,988. Some folks call it a wagon, some call it a large crossover, but no matter how you label it, Ford’s 2015 Flex brings a distinctive look to either segment. This 7-seat, 5-door, practicality-minded wagon/crossover shows, with its right-angle-dominated profile, unique oval-less front fascia and discreetly branded rear look, why it’s hip to be square. It’s also hip to be agile, comfortable and decently potent, and its flattop roofline means better-than-average headroom, even in the third-row seat, not to mention some 83 cubic feet of toting space with the second- and third-row seatbacks folded. Furthermore, the standard fold-flat front passenger seat adds even more acreage for those items that might otherwise need a red flag attached. The box-shaped 2015 Flex stable sees no significant changes from 2014 and returns in 3 trims, the base SE, the midlevel SEL and the flagship Limited, all of which offer an unusually high-end cabin ambiance and plethora of creature comforts. Also returning is the standard front-wheel drivetrain (FWD) that can be swapped for available full-time all-wheel drive (AWD) in the SEL and Limited versions. Once again, all Flex iterations are offered with the standard 3.5-liter V6 engine mated with a 6-speed shiftable automatic transmission. Look for 287 hp and 254 lb-ft of torque from this combo, while EPA-estimated mileage remains 18 mpg city/25 highway in FWD variants and 17/23 in SEL and Limited trims boasting AWD. Should you decide to spring for the high-end Flex Limited, you may rejoice in the fact that this top-shelf trim can be delivered packing an available 3.5-liter turbocharged V6 EcoBoost mill that boasts 365 hp and 350 lb-ft of torque, all of it again under the management of the 6-speed shiftable automatic sporting steering-wheel-mounted paddle shifters. As this forced-air powerplant comes only in the AWD configuration, expect mileage numbers to drop marginally to 16/23. For 2015, the base Flex SE comes with standard 17-inch painted alloy wheels, cloth upholstery, a power-adjustable driver’s seat, full power accessories, reclining rear seats, cruise control and telescoping tilt-wheel steering. Additionally, this entry-level trim also comes with standard Bluetooth-interfaced SYNC directions and connections technology and rear parking sensors, as well as front and rear manual air conditioning and an auto-dimming rear-view mirror. Entertainment, meanwhile, remains a single-CD player boasting 6 speakers and an auxiliary audio input. Moving up to the SE, look for standard 18-inch alloy wheels, heated power-adjustable front seats, a remote garage door opener, tri-zone auto climate control and simulated wood cabin accents. The stereo system, meanwhile, is upgraded to include satellite radio, a memory-card slot and a video monitor. Selecting the Limited trim gets you such added bells and whistles as 19-inch alloy wheels, a power liftgate, premium leather upholstery, digital-keypad door locks, remote start, power-adjustable pedals, a rear-view camera and memory for driver's settings. Furthermore, techno-upgrades include a 390-watt Sony premium audio system boasting 12 speakers, as well as SYNC with MyFord Touch hands-free audio and communications integration via a 4.5-inch touchscreen. 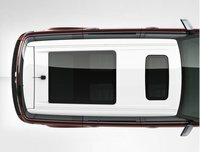 Noteworthy options in select Flex trims for 2015 include a Class III towing package (4,500- pound max capacity), rear-seat DVD entertainment, a Vista Roof multipanel fixed sunroof, a refrigerated second-row console, upgraded and upsized wheels, and upgraded leather upholstery. Additionally, the available Equipment Group 301A returns sporting Active Park Assist, adaptive cruise control with forward-collision braking, a power-folding third-row seat and a power-adjustable steering wheel. Of course, lower trims also remain eligible for a number of items that are standard in higher trims as optional equipment. 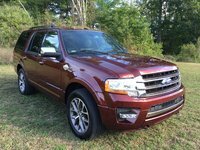 Standard safety equipment aboard all 2015 Flex iterations includes 4-wheel antilock brakes (ABS), 3-row side curtain airbags, front side-mounted airbags, SYNC emergency telematics and Ford’s teen-taming MyKey programmable speed- and audio-governing technology. A post-collision safety system is also standard throughout the lineup, as is a remote antitheft alarm. The SEL and Limited, furthermore, also throw in standard inflatable second-row seatbelts and front fog/driving lights, while the Limited additionally boasts blind-spot alerts (BLIS) and high-intensity-discharge (HID) headlights. 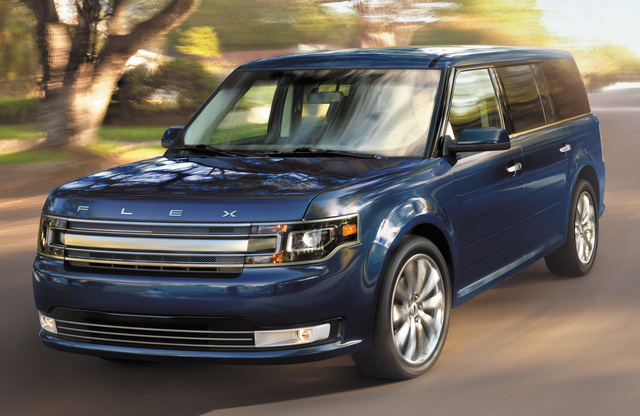 What's your take on the 2015 Ford Flex? Have you driven a 2015 Ford Flex? 2015 Ford Flex Power Stearing Assist Problem In Cold Weather?